Airbus or Boeing ? While going for a holiday or business trip every one has only one thought going on and on about best airlines in terms of time and money, so i thought why not write a comparison, and which Plane Boeing or airbus ? Planes have always been a widely discussed topic, but which plane should i take or who is the leader of this market? The aviation industry comprises of 2 (two) big giants who capture the majority share of the market; namely Boeing and Airbus. Boeing is based in United States of America (USA) and Airbus is based in France. 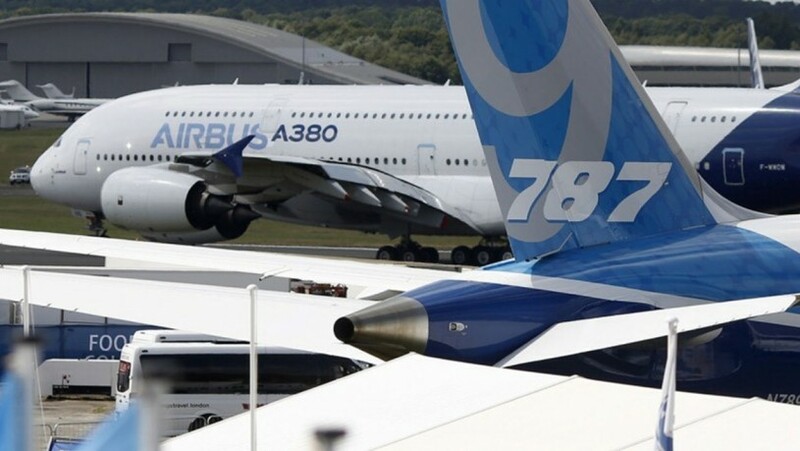 If we compare the market share of Airbus and Boeing, Boeing aircraft still in operation in April 2013 surpasses Airbus aircrafts by 21% mainly because Airbus made a late entry in this marketplace. In April 2013, operational Airbus aircrafts were 7,264 compared 8192 today. According to Airbus website, 50% of the orders were secured in the decade since 2003. Airbus forecasts that air traffic would increase by 4.7% during 2014 and 2033. Speaking of numbers, till 28th Feb 2015 Airbus has secured a total orders of 15,299 commercial aircrafts out of which 8192 are operational and 8967 to be delivered. As of today, Airbus has a larger market share than Boeing. Boeing has received 25,800 orders till 3rd March 2015. Today, Airbus most famous aircraft is Airbus A380 and Boeing’s famous being the family of 777. Boeing 777, often referred to as Triple Seven is a long range wide body aircraft. The first test flight of Boeing 777 took place on 12th June 1994 and first order of it was given to United Airlines. Unlike Airbus A380, Boeing 777 have few variants; 777-200, 777-200ER, 777-300, 777-200LR and 777-300ER. Variants of 777 are characterized by two factors; fuselage length (body length of the aircraft) and range of the aircraft. 777-200 was the first model with the maximum range of 9700 km which was targeted mainly for domestic flights of United States. Airbus A330 is the competing aircraft to Boeing’s 777-200. 777-200 is widely used for flights between London and New York. United Airlines today has the most 777-200 which total to 22 out of total 88 aircrafts of this variant made by Boeing. 777-200ER is the second variant, ER stands for extended range. The maximum range of this variant is 14,300 km. The British airways have their hands on 777-200ER in February 1997. Airbus A340-300 and the A350-900 are the competing aircrafts to 777-200ER. United Airlines today has the most 777-200ER which total to 58 out of total 422 aircrafts of this variant made by Boeing. 777-300 is the third variant with a maximum range of 11,140 km. This variants first delivery was given to Cathay Pacific in May 1998. This variant from Boeing has no direct Airbus contender as such. Both Singapore Airlines and Cathay Pacific today have the most 777-300 of 12 each which total to 24 out of total 72 aircrafts of this variant made by Boeing. 777-200LR is the fourth variant where LR stands for long range. It was the world’s longest range commercial aircraft when it launched in 2006. The maximum range of this aircraft is 17,400 km. It is often referred to as World Liner because it had the ability to connect almost any two world airport by distance. International Airlines (PIA) received the first 777-200LR in February 2006. This variant also has no direct Airbus contender. Both Delta Air Lines and Emirates today have the most 777-200LR of 10 each which total to 20 out of total 59 aircrafts of this variant made by Boeing. 777-300ER is the fifth variant, ER stands for extended range. This variant has the maximum range of 14,492 km. This variant first order was delivered to Air France in April 2004. 777-300ER is the bestselling variant of Triple Seven to date. 777-300ER is powered with world’s most powerful jet engine by General Electric. Emirates today has the most 777-300ER which total to 120 out of total 792 aircrafts of this most successful aircraft of Boeing. There are few other variants of 777 too but we haven’t covered they fall in cargo category. In the early 90s, Airbus began to research on an aircraft which could carry more than 500 passengers. This aircraft was being engineered to compete with its rival Boeing 747. It is said that in early stages this design was referred to as A3XX. In the end, the aircraft was named A380, which is not a number sequence of Airbus planes. The number 8 (eight) was proposed because it reflected the cross section of the plane’s double decker passenger area. Airbus A380 today is the world’s largest passenger airliner. It is a double decker aircraft carrying four Rolls-Royce or Engine Alliance engines onboard. A380 max capacity is 853 whereas Boeing max capacity is 747. A380 was launched in December, 34 years after Boeing 747. The first flight of Airbus A380 took place on 28th April 2005 and the first order of it was given to Singapore Airlines followed by Emirates. Today, Airbus A380 is widely used by Emirates, Qantas, Thai Airways, Singapore Airlines and Lufthansa. Boeing 747 was the largest aircraft until the Airbus A380 delivered its first order in 2007. Boeing 747 is also a double decker with four engines onboard. Airbus A380 has the maximum range of 15,700 km whereas Boeing 747 has a maximum range of 13,450 km. The size of A380 is just enormous. Airbus quotes that the total area of A380 is same as 3 (three) tennis courts. Also, Lufthansa Airlines quoted that an Airbus A380 can transport tennis balls. Emirates today has the most A380 which total to 140 out of total 317 ever produced by Airbus. Airbus quotes that everyday 170 flights are performed by the A380 over the world, and 2 million passengers fly on the A380 each month. A380 max weight is 560,000 kg (560 tons) whereas Boeing weights 397,000 kg (397 tons) which has created a challenge for airport runaways. Airports are facing few challenges with A380, the issue faced by airport is not just because of the weight of the aircraft but also other issues. A380 is equipped with most landing wheels than any other aircraft, most runaways are long enough for takeoff and landing but they are not wide enough for an aircraft like A380. Airports need to have a facility to accommodate 800 passengers who are landing at the airport. Terminal space, sufficient security checks, Luggage control, long immigration queue are few issues an airport could face. In the event of flight cancellation, it could take more than 24 hours to get every passenger re-routed and his luggage been taken care of. It must be understood that Airbus A380 is not famous with airlines because of its size or the number of passengers it can carry. Airbus A380 operating costs are much less than the competitors Boeing 747. Airbus states that effective use of A380 can result in a drop of operating costs by 16 to 20%, thus huge profits for airlines. Not to forget that A380 is a fuel efficient aircraft too.